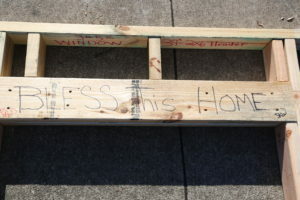 Volunteers leave messages in the homes they help build. This message says, “Bless This Home.” For sure the family receiving this Habitat home feels blessed already. Habitat for Humanity is an international non-profit organization that assists low-income families in building new homes and new lives to reduce poverty housing around the world. The organization focuses on two goals. The first is to build as many houses as it can, using the principles of “sweat equity”, no interest, no profit, volunteer-driven construction in every corner of the globe. Today Habitat is completing a house somewhere every twenty-six minutes (20,000 per year). Secondly, Habitat also attempts to make housing a matter of conscience everywhere. Habitat wants everyone to understand that it is morally and socially unacceptable for any human being not to have a simple, decent place to sleep at night. 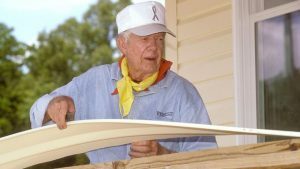 In 1984, Former President Jimmy Carter and his wife began The Carter Works Project in partnership with Habitat for Humanity. The Carter Works Project is an annual week of building supported by the donation of resources and work of volunteers. Approximately 1.6 billion people globally lack adequate shelter. Habitat for Humanity envisions a world where everyone has a decent place to live. It contends that a house is more than just four walls and a roof, and operates on the belief that a safe, secure, and affordable home changes lives. A home helps people live healthier, it keeps children in school, and it gives families opportunities. A stable home helps break the endless cycle of poverty. 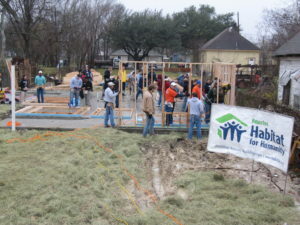 Volunteers put in “sweat equity” into the building of this and many other Habitat homes. In order to receive their Habitat homes, home owners are required to put in 300 sweat hours. 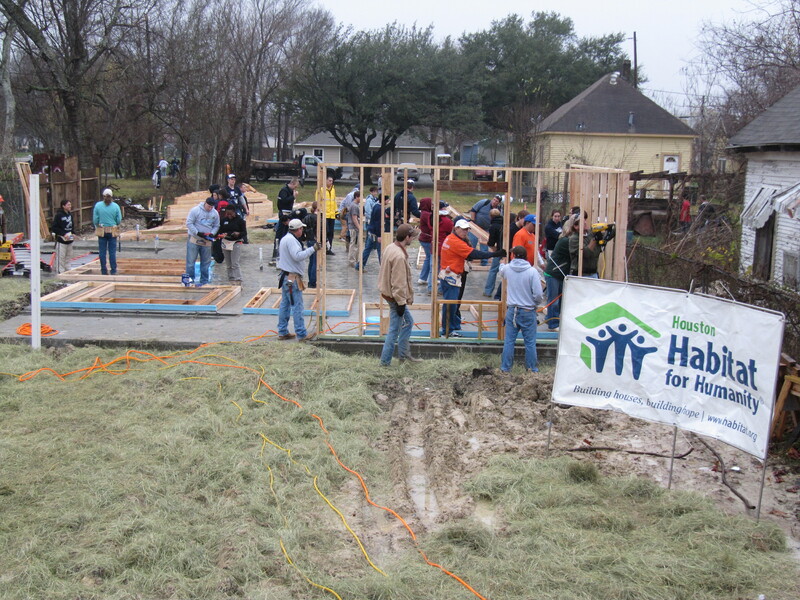 Watch this YouTube video to learn more about Houston Habitat for Humanity and what they do to help the Houston community. This video by Habitat Houston includes statistics on the poor housing situation of renters in Houston, it also features interviews with Habitat home recipients. It gives us an insight to what a finished Habitat home looks like and the impact it has on real people’s life.